Pesto – Summer and the Living is Easy! | Faddegon's Nursery, Inc.
Pesto – Summer and the Living is Easy! Jun 16, 2016 | Edibles, What's New? Pesto is certainly one of the easiest recipes to prepare. If you haven’t tried it yourself then the time has come! You can buy it in a jar but to really appreciate the flavor, make it with the freshest herbs possible, the ones you’ve grown! 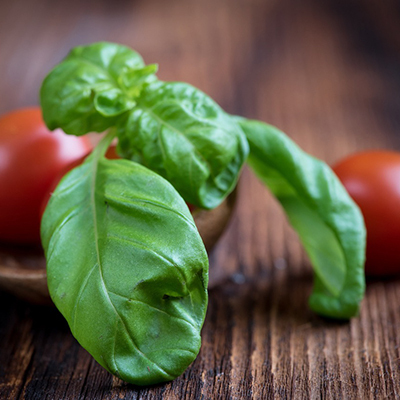 2 cups fresh basil leaves that you’ve grown yourself! In a food processor, combine pine nuts, basil leaves (no stems), garlic and coarse salt. When everything is chopped or minced (your call) put the processor on slow. Drizzle the oil into the mixture until smooth. You can either add the cheese and process for a moment or add it after processing. Eat right away or store in the fridge. You can even freeze pesto and enjoy it anytime for up to 3 months! You can enjoy pesto on anything, not just pasta!